What’s up? Join expert Suren Shrestha from Nepal for a short concert for group meditation and explains the vibrational healing process using singing bowls, incorporating volunteers from the audience. Why you should go. 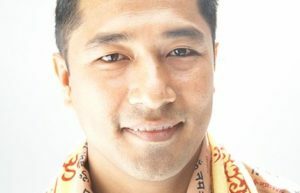 Suren Shrestha grew up at the base of the Himalayan Mountains in Khandbari, Nepal, where he mastered the ancient healing arts of Tibetan sound therapy. 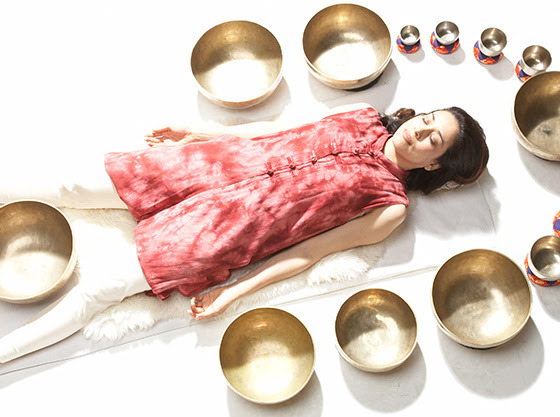 In the United States, Suren introduces students to these healing modalities, leading workshops and assisting clients with healing bowl work all over the country. Visit the Rubin Museum of Art for upcoming events. Attire? Casual or business casual works. RSVP preferred to guarantee your spot. Nearby spots for a nightcap or bite to eat? Glad you asked. Bar Six, bar, restaurant 502 Ave of the Americas, New York, NY 10011 – Love this place. Convenient, great selection and good buzz. Bill’s Bar & Burger 15 West Street, Meat Packing District – great beer and delicious burgers. Close proximity to the Highline. Eataly NYC by 23rd and Broadway- loads of eating options food court but gets crowded. Laut 15 E. 17th St. pan-Asian, good service and food. Le Singe Vert – French bistro, 160 7th Ave New York, NY, 10011, reliable, great desserts, charming. Lillie’s Union Square Bar / Restaurant, Edward the 7th would have loved this place, which is a shrine to Lille Langtry. Cozy, charming and great selection of drinks. Mikado Sushi 525 Ave of the Americas by 14th St., New York, NY 10011 – convenient, good food, reasonably priced.